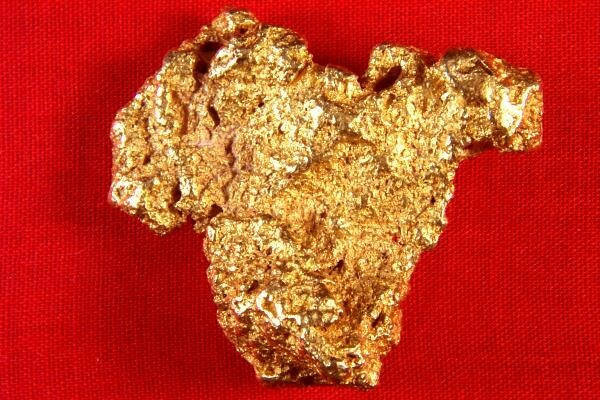 This natural Australian Gold Nugget is truly huge and gorgeous. It weighs in at a very hefty 2.36 Troy Ounces (73.6 Grams). Hold it in your hand and I guarantee you will get a real bad case of gold fever and you will want more gold. The color is incredible and it has amazing surface texture. 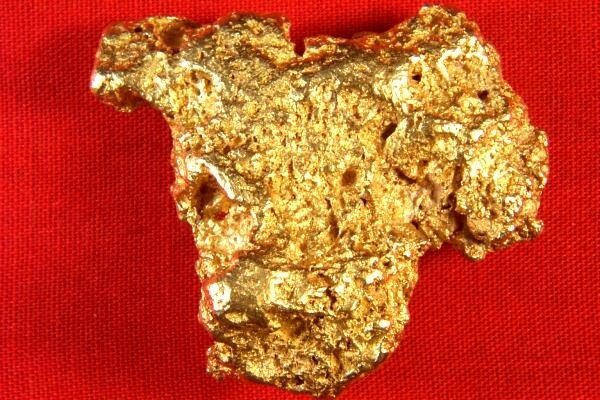 My hand selected gold nuggets are the highest quality that you can find anywhere. This beautiful nugget is 1.6" long x 1.5" wide x over 1/2" thick. Australian Gold Nuggets are very high purity and jewelers, investors, and collectors love them for their beautiful color and texture. This is a very high quality hand selected gold nugget. Purity is estimated at 92% to 98% pure.